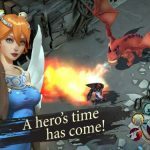 Wonder Tactics is a brand-new RPG from Com2uS, a mobile game developer that’s made many an anime-inspired RPG for mobile devices. 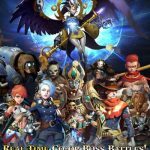 This new game, like most of Com2uS’ other titles, is available for both major platforms, Android and iOS. 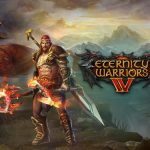 You have 250 heroes that you can collect in this game, each with “unique” characteristics, five different attributes (Water, Earth, Fire, Dark, Light), different types of heroes, and legendary heroes which you can summon. Your ability to make tactical decisions in battle will also be tested, and you can also hone your skills in “various dungeons and battles,” which include the option to fight other players in PvP mode. Some have said that the mechanics of Wonder Tactics are a bit more conventional as an RPG. Well, we tend to agree, as a lot of the mainstay staples of RPGs are here – collecting characters, leveling them up, and evolving them, the ability to equip them with weapons and spells, and the different decisions you need to make in the battlefield. But that doesn’t mean it’s going to be any easier for newbie players, or easier even for intermediate ones. That’s the reason behind Level Winner’s exclusive compilation of Wonder Tactics tips, tricks and strategies – we’re talking tips and tricks for anyone checking the game out. Let’s get to them. So you’ve just downloaded Wonder Tactics and want to get a good head start. Fortunately, Com2uS has that covered, as you will get a 12-hour experience booster as a reward for playing the game for the first time. That boosts the amount of experience points you can get for the first 12 hours since you started playing, so play the game as often as possible once you’ve gotten the booster. By redeeming this gift, you can level yourself up rather quickly, and make good time against the enemies, staying the proverbial one step ahead of the game, and then some. It also allows you a good chance to relax for the meantime, play around with the game’s features, and pretty much reap all the benefits of much weaker opposition. There is an elemental system to the game, as you may have gleaned from the above overview. But which element beats what element in this take on the rock-paper-scissors system? Fire beats Earth, Earth beats Water, Water beats Fire. Light and Dark, on the other hand, cancel each other out by beating each other. Use this easy tip to figure out how you can come up with an elemental advantage. There may be times when it won’t be enough to have an elemental advantage on the battlefield. Take a look at how the different attacks can be targeted, based on where the enemy is located; sometimes, your elemental advantage wouldn’t be able to pick up the slack. That means you’ll have to focus on trying to beat multiple enemies as quickly as possible, or at the very least, doing tons of damage against them. It would seem that your melee fighters are also those who typically have the best defense; in a way, a lot of them can be referred to as offensive-oriented tanks. That means your melee fighters can do the most damage, and also take the most damage. Meanwhile, your healers and spell casters, as usual, should be positioned at the back, keeping them as safe as possible from the enemy offense. They can, however, stay up front if they are especially powerful. That said, the game comes with some heroes that can be considered “pure” tanks, meaning not so skilled in terms of attack, but mainly there to absorb damage. If you’ve got someone who fits that bill, then it’s not a bad idea to put them up in front of the other two. Feeling stuck because you’re in a battle you couldn’t quite beat, no matter how strong your heroes may appear? Well, you can definitely level them up, but first, we recommend that you “grind” it out. That means replaying battles you’ve already completed in the past; you will still earn the same amount of XP by replaying, so this means less effort on your end for the same amount of XP. Once you’ve leveled your heroes up enough through the grinding process, you can retry the battle you kept on losing, and hopefully beat it this time around. Almost all of the 250 heroes in Wonder Tactics can use either one of two forms of evolution – fixed or random evolution. Random evolution will let you evolve a hero that’s already maxed out and powered out five times into a new, random character with a new, and higher rarity level. Fixed evolution is basically conventional evolution – you make sure the character’s completely maxed out, then change him/her into a specific new hero and rarity level. Yes, this is another one of those RPGs where it would behoove you to complete the quests to stay within the storyline and get yourself up to speed. But we thought we’d mention it one more time, to underscore the above facts, and also how successful quests can reap you rewards, which include, but certainly aren’t limited to experience points. Wonder Tactics comes with an energy system, which means you can’t keep playing the game for free forever. But if you want to play free for longer, all you need to do is to level up your account. The XP your account gets is different from that your heroes receive, so take this into account as well; the last thing you want to do, after all, is to pay real money just so you could play the game a little longer. Normally, in role-playing games, it’s a good idea to have your lower-level heroes team up with those with higher-level ones. That way, the low-XP heroes could gain the same amount of XP the higher-level ones do, thus allowing them to get caught up faster. Unfortunately for Wonder Tactics players, that isn’t always the case. In fact, that isn’t the case MOST of the time. If one of your lower-level heroes gets snuffed out in battle, you lose one stars, and if you lose two of them, you lose two stars, and so on. That reduces the quality and the amount of rewards you can receive, and in the end, it’s all counterproductive. If you want the best rewards in this game, you have to go for three stars, with two stars sort-of pushing it. You don’t want to pay for the mediocrity of your lower-XP heroes, so if you want them to be caught up with your first team, so to say, you’ll have to do that separately. This is probably a no-brainer, but just in case you might not be doing it all the time, you should always make sure that your heroes are equipped with weapons, armor, and such. And those pieces of gear should always be upgraded whenever possible. Surprisingly, it’s quite easy for players to forget this seemingly simple thing, even the more experienced ones, so if you’re sending off some heroes to fight, you’ve got to be sure they aren’t going out there unprepared. There’s a good chance that the first three characters you will receive in Wonder Tactics won’t be pushovers. They will likely be pretty good, all things considered, so you might want to take advantage of the 12-hour XP boost (see above) and get them leveled up sufficiently. At that point, you may likely have at least one healer and one tank for support purposes, and another one, giving you a total of about six by that point. Once you’ve gotten your first three up to speed, move on to the second three and level them up to a similar level as the first three. Heck, you can even work with a third group of three if you’re up to it! Finally, we should also stress that it’s very important to maintain your focus in battle. Any distraction may turn the tide in favor of the enemy, as they’ll always be on the attack; by this, we mean remembering to use your heroes’ special abilities when they become available. In addition, there is an auto battle feature in this game, where your heroes use their skills as decided by the computer AI. If you’re grinding or have a big edge over the enemy, then by all means, go use auto battle and sit back and relax. Otherwise, the responsibility of choosing the right tactics lies in your hands. And this makes our Wonder Tactics strategy guide complete. If you love the game, just as we do, and know additional hints, that we haven’t included in our guide, don’t hesitate to drop us a line. 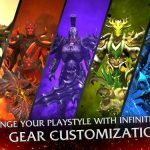 Also, be sure to click here, if you are interested in checking out tips and tricks for other Com2uS titles, including Summoners War, Demonic Savior and others, that we shared on Level Winner in the past.